Amazon.com Price: $6.50 (as of 2019-04-22 14:44:14 GMT) Product prices and availability are accurate as of the date/time indicated and are subject to change. Any price and availability information displayed on Amazon.com at the time of purchase will apply to the purchase of this product. If you simply adore fabulous frogs, this lovely amphibian is sure to hop away with your heart! What does a Love Frog love to do? Play with their friends, cook secret recipes and , of course, spend lots of time handing out with you! 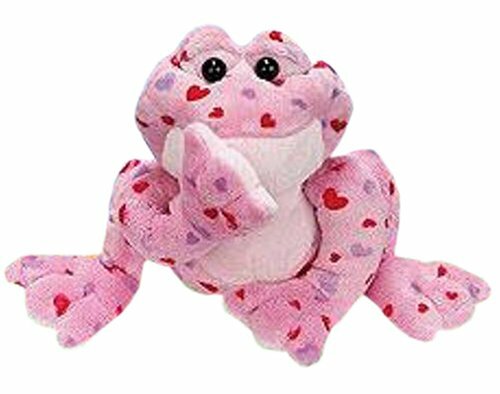 For a pal you’re sure to adore, adopt a Love Frog! Back to Preschool Sale @ Little Tikes: Spend $50 Get $10! DEAD: Huggies Soft Skin Gift Basket just $13.50 Shipped!